If you’re not into cosplay but would still like to display a life-sized Death Trooper in your collection room, Sideshow has your fix. 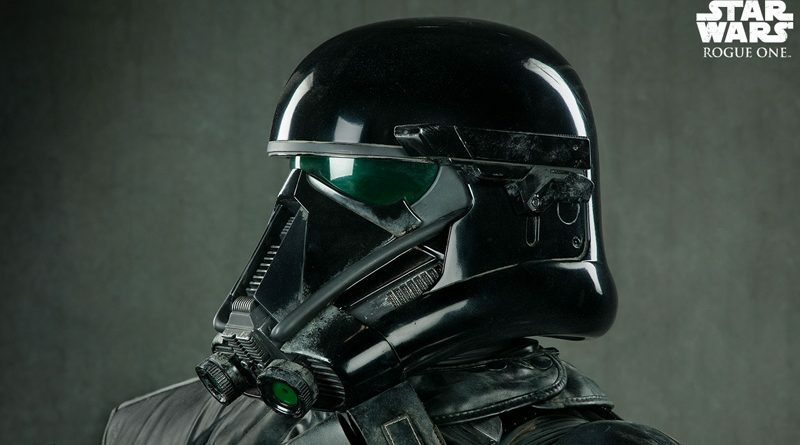 Now available for pre-order is their Life-Size Death Trooper Figure from Rogue One: A Star Wars Story. The figure is 7-feet tall including the display base. It has removable armor pieces, chest rig, pauldron, helmet clip, and mag pouch so it can be displayed as either a regular Trooper or a Death Trooper Specialist. Sideshow is offering their payment plan with the figure which is priced at $8,000. The Life-Size Death Trooper Figure is estimated to ship between August and October 2018.